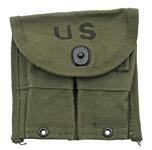 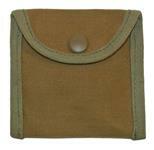 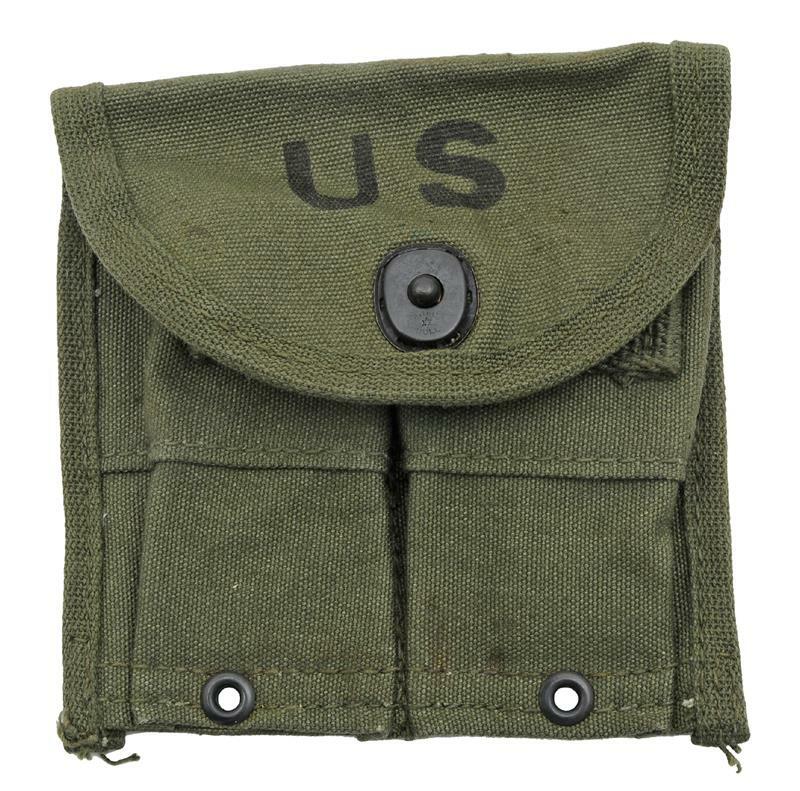 Unissued Post WWII, olive drab canvas belt-type magazine pouch marked Rainier-Bell Co. and dated 5-24-57. 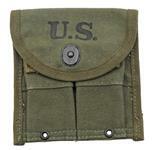 Holds two loaded 8 round M1 Garand clips or two 15 round M1 Carbine magazines. 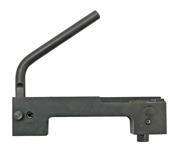 Ruptured Cartridge Extractor, Used Original G.I., VG to Excellent Cond.